With an aim to stand tall on the expectations of patrons, we are engaged in offering premium quality Coffee Seed Roasting Machine. 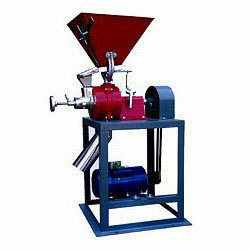 Offered by us, these coffee seed roasting machine are employed for roasting raw coffee seeds, by removing husk over the seeds and smoke. Our hybrid machinery can be operated by using power or other heating modes such as electrical heater and L.P. Gas burner. These coffee seed roasting machine are built with using superior-grade raw material that ensures our product-line are in compliance with international standards. We are a trusted organization engaged in catering to the variegated requirements of the clientsby providing optimum-grade Multi-purpose Roaster. 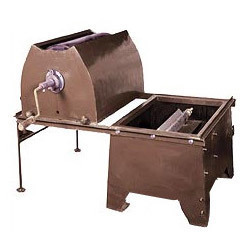 These Multi type Roasters are used for roasting seeds in larger, medium and small bits to feed evenly. 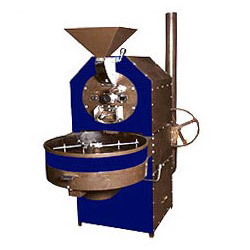 Our offering of Multi type Roaster can perform by using power, charcoal or L. P. Gas Burner. Offered by us, These Multi type Roaster are made of using high-grade raw material to ensure that they are in compliance with international quality norms.